Natwut has joined SAU as a member of university council since 2011. 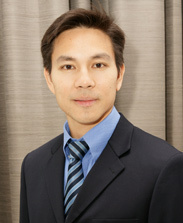 He is a partner of an independent consulting firm and being a lecturer in Master of Management Program, Mahidol University, Sasin Graduate Institution and Thammasat University. He has extensive experiences on business strategies, process-redesign, organizational and operational issues as well as managing business for start-up and large companies. His professional also includes banking, telecommunication and energy industries. He has completed his Master Degree of Business Administration concentration in Strategic Management and Consulting from Sloan School of Management, Massachusetts Institute of Technology (MIT) and Master Degree of Industrial Engineering concentration in Economic Decision Analysis from Georgia Institute of Technology in Atlanta. He has his Bachelor Degree of Electrical Engineering in Telecommunication from Chulalongkorn University, Thailand.